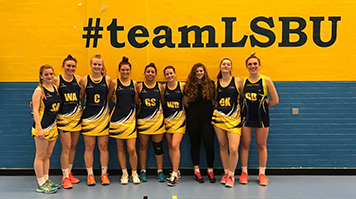 Beating Canterbury Christ Church 48-43 and with a fantastic season under their belt, the LSBSU Women's Netball squad secured the league title, whilst still having a game in hand. The Student Union shared their praise: "The netball team's excellent performance is something we’re very proud of and adds to the growing sporting success, positive reputation and sense of community on campus." Find out more about the LSBU Student Union Sports offering.